MONTREAL, QUEBEC - Stella-Jones Inc. (TSX:SJ) today announced financial results for its third quarter ended September 30, 2012. "Stella-Jones delivered a strong operating and financial performance in the third quarter. Our constant focus on optimizing efficiency continues to yield solid year-over-year improvements in net income and cash flow. Demand for our core products remains solid, as we leverage the strengths of our network and further expand our reach across the North American market for treated wood products," said Brian McManus, President and Chief Executive Officer of Stella-Jones. 1 Before changes in non-cash working capital components and interest and income tax paid. Sales for the quarter ended September 30, 2012 totalled $195.4 million, an increase of $13.6 million, or 7.5%, over last year's sales of $181.8 million. The Russellville, Arkansas operating facility acquired from Thompson Industries, Inc. on December 7, 2011 ("Russellville Facility") contributed railway tie and industrial product sales of approximately $12.3 million, while the conversion effect from fluctuations in the value of the Canadian dollar, Stella-Jones' reporting currency, versus the U.S. dollar, increased the value of U.S. dollar denominated sales by about $4.1 million when compared with the previous year. Railway tie sales amounted to $114.7 million, an increase of $22.3 million, or 24.2%, over sales of $92.3 million last year, reflecting solid market demand as well as a $12.2 million contribution from the Russellville Facility. Utility pole sales amounted to $53.1 million, down slightly from $55.5 million last year. The variation reflects the year-over-year timing difference in transmission pole orders for special projects, which had resulted in stronger sales in the third quarter of 2011. Meanwhile, sales of distribution poles held steady, reflecting regular demand for maintenance projects. Industrial product sales reached $15.4 million, compared with $23.3 million a year earlier, due to a reduction in the tie recycling business and lower demand for marine applications in Canada. 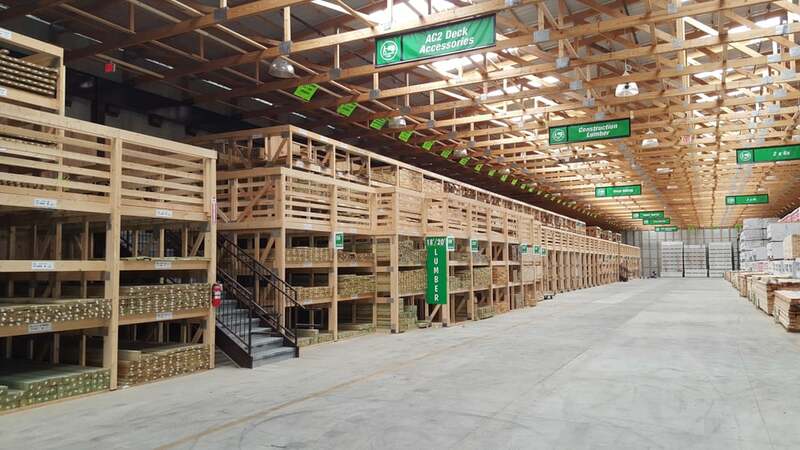 Sales of residential lumber totalled $12.3 million, up 14.9% from $10.7 million a year earlier as a result of more favourable weather compared with the same period last year and stronger demand in Western Canada. Operating income was $31.8 million or 16.3% of sales, up from $25.6 million or 14.1% of sales last year. The increase in monetary terms mainly reflects higher business activity and the addition of the Russellville Facility, while the increase as a percentage of sales is mainly due to a better absorption of fixed costs resulting from higher business activity and from greater efficiency throughout the Company's plant network. Net income for the period increased 24.8% to $20.7 million or $1.29 per share, fully diluted, compared with $16.6 million or $1.03 per share, fully diluted, in the third quarter of 2011. Cash flow from operating activities before changes in non-cash working capital components and interest and income tax paid rose 24.1% to $35.3 million. For the nine-month period ended September 30, 2012, sales amounted to $558.1 million, up 13.3% from $492.6 million a year earlier. The Russellville Facility contributed sales of $32.0 million, while the conversion effect from fluctuations in the value of the Canadian dollar, versus the U.S. dollar, increased the year-over-year value of U.S. dollar denominated sales by about $11.1 million. Operating income reached $88.5 million or 15.9% of sales, compared with $67.6 million or 13.7% of sales last year. Net income for the period was $56.5 million or $3.52 per share, fully diluted, up 33.5% from $42.3 million or $2.65 per share, fully diluted, a year earlier. Cash flow from operating activities before changes in non-cash working capital components and interest and income tax paid rose 31.5% to $98.4 million. As at September 30, 2012, the Company's long-term debt, including the current portion, amounted to $184.8 million, down from $192.3 million three months earlier. The ratio of total debt, including short-term bank indebtedness, to total capitalization was 0.33:1 as at September 30, 2012, down from 0.35:1 three months earlier. Working capital stood at $318.2 million as at September 30, 2012, up from $273.2 million at the beginning of the year. This variation mainly reflects an increase of $22.8 million in accounts receivable, as a result of strong sales growth in the first nine months of 2012, and a $25.7 million increase in inventories due to higher planned inventory levels of air-dried wood, both to improve future treating cycles and meet anticipated sales growth. On November 8, 2012, the Board of Directors declared a quarterly dividend of $0.16 per common share payable on December 20, 2012 to shareholders of record as at the close of business on December 3, 2012. "Driven by favourable fundamentals, we expect demand for our core products to remain solid in the last quarter of 2012 and in 2013. 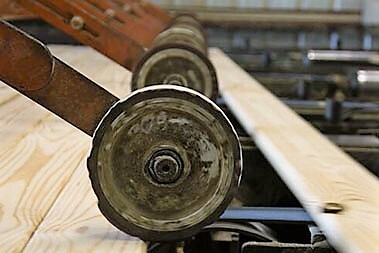 The proposed acquisition of McFarland Cascade Holdings, Inc. and the construction of a new railway tie facility in Cordele, Georgia will further enhance Stella-Jones' offerings in its core markets. 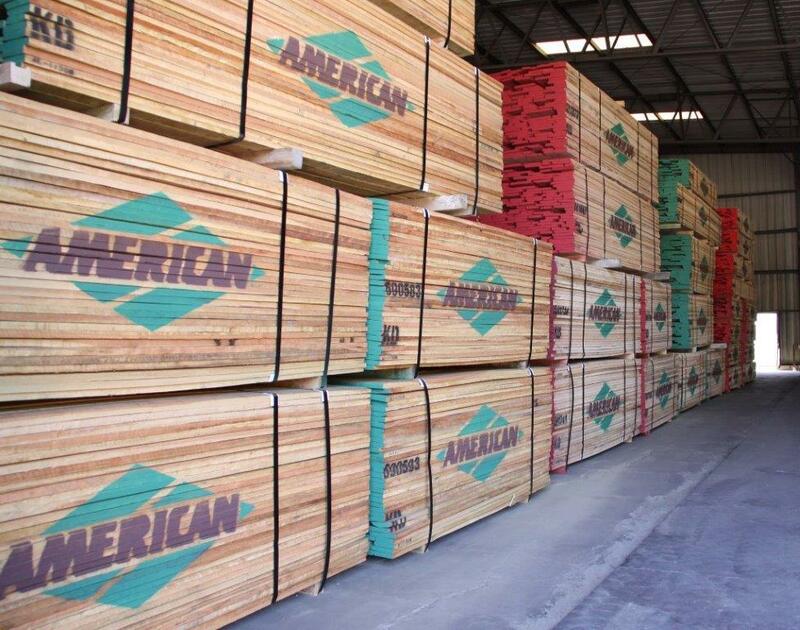 These expansion initiatives will strengthen our position as a leading North American supplier of treated wood products, as well as create additional value for shareholders," concluded Mr. McManus.